Currently time! And this time I'm not behind lol. Farley is having her May currently link up. I saw a fantastic thing in a first grade team at a school I sub for. 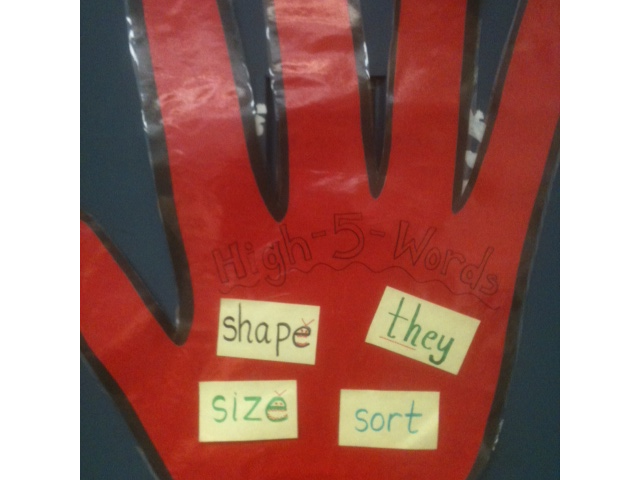 They call it High Five words. Each teacher has a huge hand on their door and there are words on sticky notes or words on sentence strips taped on to the hand. When students are lining up to go somewhere, the teacher points to a word and the kiddos have to say it to go out. This reminds me of the password to get into the rooms I've seen on blog land. 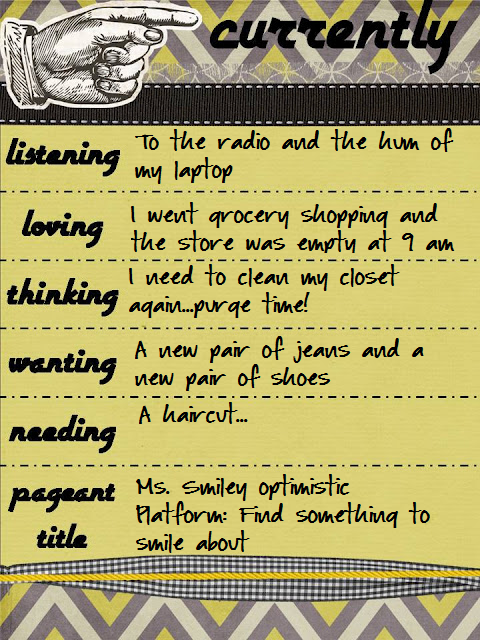 I created a simple freebie of a hand that kids could write their words of the week, whether it's high frequency words or theme/unit words. I could see these on desks or on the white board. This would be perfect for those times that you have a spare few minutes (sometimes we have those!). I could even envision the teacher saying "High Five" and the kids practice those words. Click the hand to go to Google Docs. I just came across your blog through Farley's linky. The hand sign is very cute. The intervention coach at my school gave me a somewhat similar idea t the beginning of the year. She said before tests she would give each student a name tag with a high frequency words. Students were not allowed to call each other by their real name, but instead had to call each other by the name on their tag. It helped increase their knowledge of the sight words. I saw a few other optimistic people too...well you know what I mean lol.